All ten cryptocurrencies with the largest market cap remain strong in the last 24 hours . So, according to Coinmarketcap, Ripple (XRP) for the last day (on Saturday morning, August 18) increased by 11%, EOS - more than 8%. 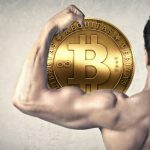 Bitcoin continues to strengthen its position. 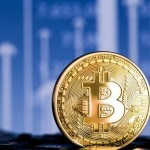 We can see its steady growth - cryptocurrency is trading around $ 6,500. At the press-time, the main сryptocurrency is trading at $ 6515, which is an increase of 0.35% per day. Note that this week the price dropped to $ 5,961. Ethereum also recovered significantly after the recent decline to $ 259. 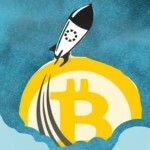 Over the past 24 hours, the leading altcoin has grown by about 2.17% and is trading at $ 308. 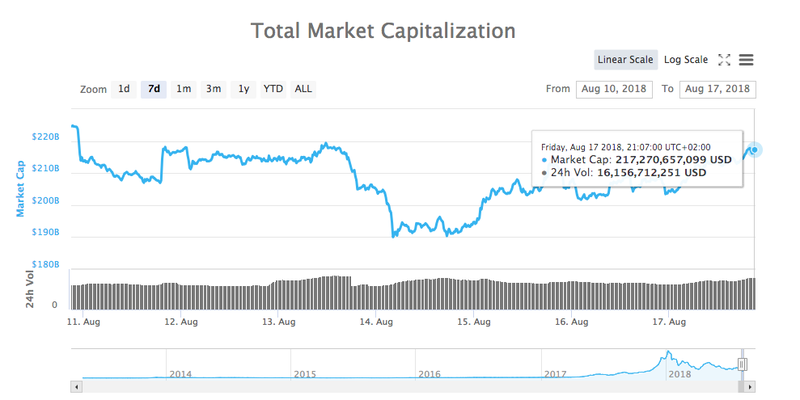 Aggregate market cap of cryptocurrency increased by $ 28 billion compared to the intraday low at the time of publication. After a large-scale sale this week, the currency markets stabilized around $ 217 billion. The total number of digital coins included in the listing on Coinmarketcap is 1855. 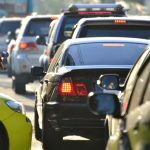 Bitcoin dominating is decreased. If on August 14 it accounted for 54.3% of the capitalization, at the press-time - 51.6%. Over the past day XRP and EOS have experienced the most significant growth among the top-10 digital cryptocurrencies. 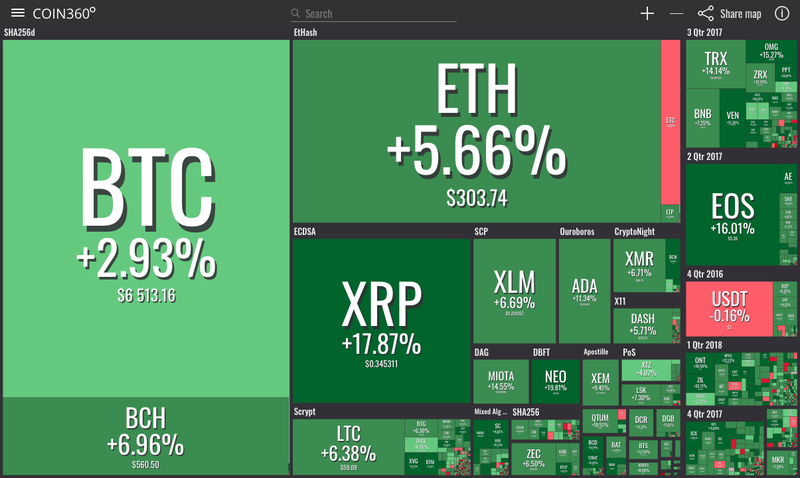 Ripple climbed almost 18% at its peak, and is now trading at a price of $ 0.34, which is about 9% growth over the week. The day before, Ripple connected three more cryptocurrency exchanges to its xRapide solution for processing cross-border payments: Bittrex (USA), Bitso (Mexico) and Coins.Ph (Philippines). EOS, also showing impressive growth, is currently trading at around $ 5.23. 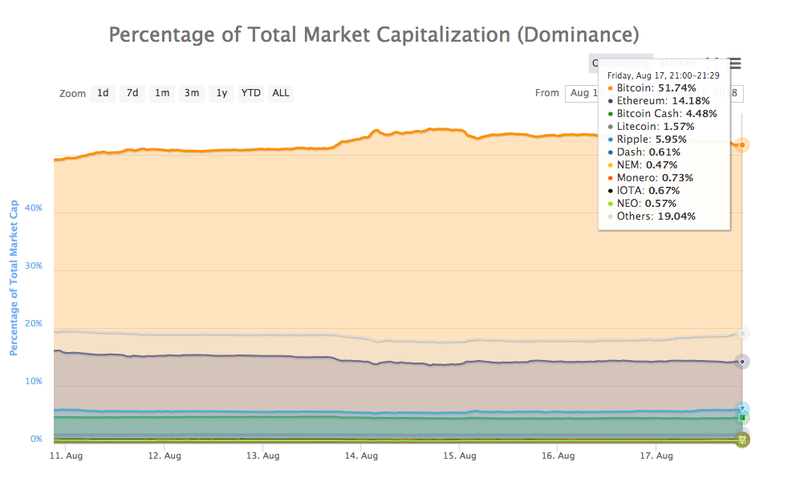 On August 17, Coinbase included the currency Ethereum Classic (ETC), ranked 12th by market capitalization, in the listing. Now ETC is trading at $ 13.82, its growth over the day was less than a percent.